Why would I need self storage in Malden, MA? There are a variety of reasons why you might need self-storage in Malden, MA. How much is a storage unit in Malden, MA? The cheapest storage unit in Malden, MA is $80.00 per month. What size storage units do you have available in Malden, MA? In Malden, MA we have sizes that range from 5'x5' to 10'x30' to suit your storage needs. How much is it for a 5'x5' storage unit in Malden, MA? The cheapest 5'x5' storage unit in Malden, MA is $80.00 per month. Malden is a thriving suburb of Boston, located only about 4 miles from the big city. It's a convenient option for those looking for a family-friendly community with easy access to jobs and entertainment in Boston. 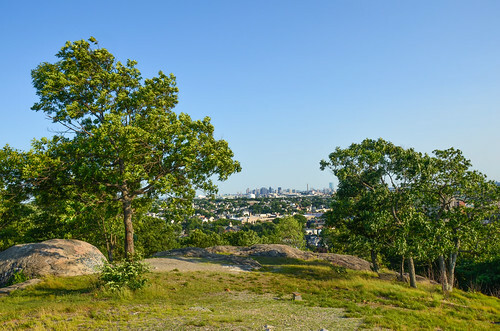 Malden is also a popular home base for outdoor enthusiasts, thanks to its many parks, recreational options and nearby beaches. Malden boasts a long, rich history that dates back to Puritan settlements in the 1640s. The community was originally called Mistick Side, considered a part of Charlestown until it was incorporated as its own town in 1649. The town was named Malden by one of the local settlers in honor of Maldon, England. During the American Revolution, about 1,000 residents called Malden home. To protest the Revenue Act of 1776, Malden residents boycotted the consumption of tea, and the people who lived in the community were among the first to petition the colonial government to secede from England in the 1770s. Malden's population has grown in recent years, becoming increasingly diverse as the community welcomes new residents from all over the globe. People move to Malden for its culture, historical background and educational opportunities. Several highly esteemed universities are in the Boston area, including Harvard and MIT. The schools in the area provide employment to their local communities and contribute to well-educated population that attracted many businesses. Malden is a pleasant community with plenty to do for families, as well as professionals. It's been named one of the best places in the U.S. to raise children, attributed to its safe neighborhoods, well-rated schools and numerous recreational opportunities. The many parks in the town provide a natural respite from city life, featuring green space, walking trails, sports courts and playgrounds. Malden is also well-known for the Converse Memorial Library, built by famous architect H.H. Richardson. The Malden Public School District manages the public schools of Malden. In addition to the district's traditional elementary, middle and high schools, it also offers a STEAM academy and a public preschool. There are also a few private Catholic schools in the city, serving grades K through 12. Utilities: Malden's primary energy providers are KeySpan and Cambridge Electric Light Co. The Boston Water Department oversees the city's water and sewer services. Garbage and Recycling: The city manages regular curbside collection of trash and recyclables. You'll need to purchase city-issued trash bags at one of several neighborhood locations. Recycling can be placed in a city-issued bin or one labeled with a city-issued sticker. Transportation: Your transportation options in Malden include bus, subway and commuter rail. There are many Victorian-era homes in Malden, but there are also modern options including homes, condos and apartments. The cost of living in Malden is above the national average, but a major benefit offered by the city is its close proximity to Boston, convenient amenities and its unique charm. Our lowest priced units in Malden, MA average $80.00 per month. 66 people have reserved units in Malden, MA in the past 30 days. There is 1 location within Malden, MA's city limits. There is 1 location in Malden, MA that offers AC and Heating features.